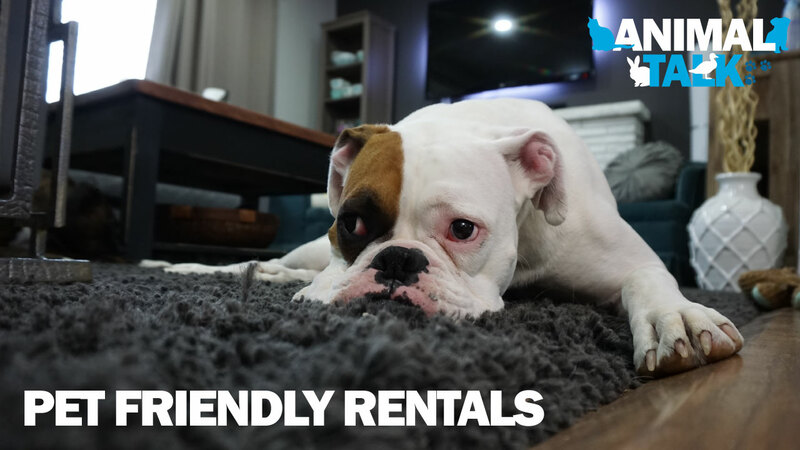 Rentals, sales or property and pets: What people looking for property should know if they want to or have pets. The greatest number of animals surrendered to shelters come from people who are between addresses. They have either moved or are looking to move and face “no pets” clause in their agreements. Those who do not wish to have pets might shrug it off but if you have pets you need to know your rights before agreeing to this. Once you sign you have agreed to it and in theory have confirmed you do not wish to keep any pets, and there is little you can do to change that unless your landlord or condominium committee is willing to negotiate. EU citizens have rights and one of those rights is to enjoy private family life and the right of enjoyment of their property or dwelling. A “no pets” clause eats away at those very rights so it rests with you to fight for the rights given to you by our membership in the EU. Strictly speaking, unless your pets are a nuisance or pose a danger to others, there is no reason why you should agree to surrender your right to keep pets. However we understand why such a clause has become common. Way too many people keep pets irresponsibly and do cause a nuisance or danger to others. Here are some ways you can help reach a compromise that keeps everyone happy. Pet Insurance: Yes pet insurance is a thing and it does cover third party damages. This could go a long way in providing your landlord the peace of mind they need to allow you to keep pets. It is relatively cheap and well worth the investment if you happen to have an emergency which can run in the 100’s of Euro in veterinary care. Offer an extra deposit: Say you offer an additional €200 deposit on your rental for damages caused by your pet. You are basically telling your landlord you are willing to wager €200 that your pet won’t cause any damage and if they do cause damage your landlord gets to keep the money. Negotiate the wording of your “no pets” clause: Since a blanket ban reduces your rights then propose a change that keeps your rights and the landlord’s (and your neighbours) rights intact. For example “The tenant agrees that any pets kept by them shall not be allowed to nuisance or cause injury to other tenants or neighbours or cause property damage, and as such will ensure their pets do not cause excessive noise disturbance, that their excrement is cleaned in a timely manner and sealed to avoid obnoxious odours and that temperamental dogs are muzzled in common areas as per legal requirement. The landlord reserves the right to demand the removal of the pet and compensation for damages if the tenant does not honour these obligations.” I cannot imagine why this would be refused, unless your landlord dislikes animals. Leaving the place clean after leaving should already be covered under your tale-quale clause so don’t think it needs to be covered again here. If your landlord won’t give you this ability to renegotiate the terms of your rental agreement, too bad for them. Why should you give them your money for a place you are not allowed to enjoy as you please. This is not just about keeping or not keeping pets. It is about standing up for your rights, what you believe in and not letting anyone manipulate your life for no good reason. If you give up this right, what will you let them take away from you next? Your privacy? Your ability to decide who you live with? You ability to decide who enters your place of residence?